The practical things in your kitchen are rarely works of art, but this beautiful Blonde Knife Block from The Big Chop will soon have pride of place on your kitchen bench! Tasmanian craftsmen construct each unique piece from hand-selected timbers, ensuring this small but sustainable supply of native timber is available for generations to come. 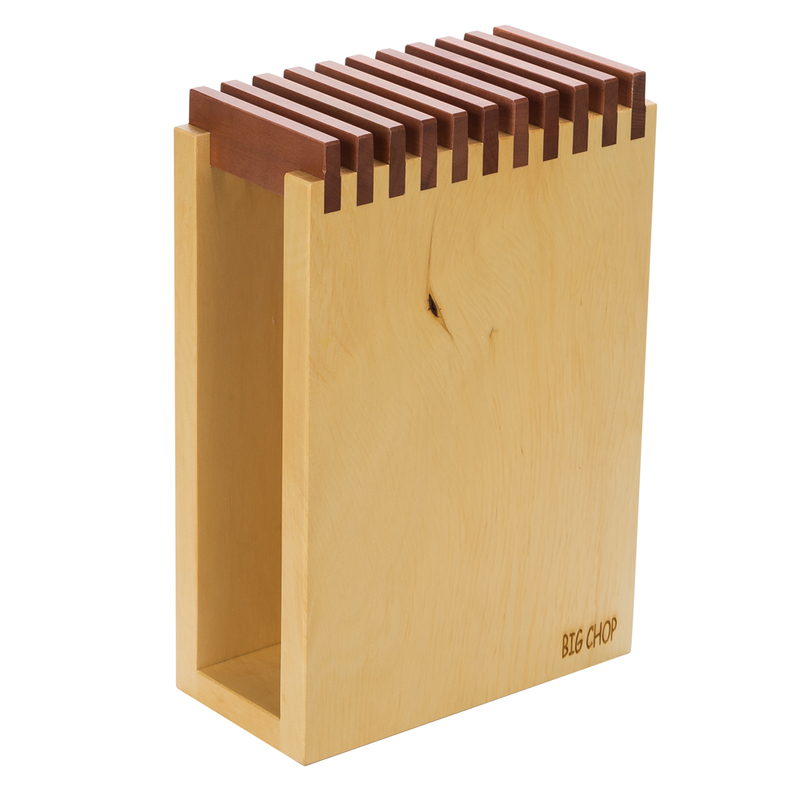 Durable and equipped with ten storage slots, this block takes up minimal counter space while protecting your blades in style. With its lovely variations in timber colour and grain, a Big Chop Knife Block will bring some rustic beauty to your kitchen every day. Handcrafted from huon pine with a mytrle top. Compact design takes up minimal bench space. Equipped with ten storage slots. Occasionaly wipe down with a soapy dish cloth. Dimensions: Approx. 19.3cm (l) x 28cm (h) x 9.4cm (w).